Our Block-Mate range of memo blocks are hugely popular, thanks to their high quality 80gsm paper and great branding opportunities. Your customers will love them! We can print to all four sides and/or each sheet, to ensure your message is seen from the first page to the very last. 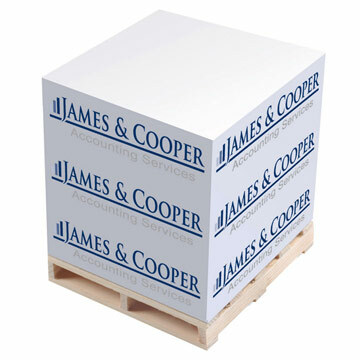 We have a range of sizes and styles available, plus a selection of memo blocks supplied on mini pallets! Our price includes a one colour print to sheets only.